Friendshift.com – A place to meet new people, make new friends, and shift the emphasis to what YOU want to do for once! and shift the emphasis to what YOU want to do for once! 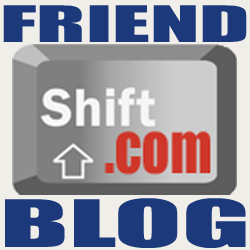 What is Friend-shift? Friendshift is, first and foremost, not a dating website. Friendshift IS a place where people can meet other like-minded individuals in their area, and plan to do something fun. We've all been there, maybe you've moved to a new city, or shifted to another side of the continent, and you are having trouble meeting new friends who share common interests with you. Well, with Friendshift you will no longer go to movies alone, or wander in a gallery all by yourself. Our database will reliably match you with other responsible, clearly not criminals trying to kill you, adults in your area who share your interests! Friendshift is the first step towards making new, interesting, and lasting friendships -- which are hard to come by when your other option is to rely upon random chance. You're not getting any younger, only lonelier.